Please join us on Monday afternoon for our meeting, guest lecture and social get-together at the Nepean Visual Arts Centre – Located at the Nepean Sportsplex. The address is 1701 Woodroffe Avenue. The NVAC is located at the back at entrance 3. Please bring your cheque book or cash to the meeting. Membership fee is $25 annually. 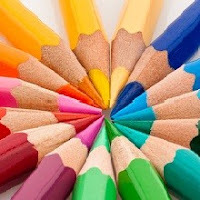 This is an opportunity to work on a small project using coloured pencils. Here you will learn about creating lights and darks that give your paintings beauty, depth and solidity. A limited number of coloured pencils will be supplied, however, members are asked to bring their own if possible, including a colourless blender pencil. If you have a set of Verithin coloured pencils, bring those as well as your Prismacolour pencils. Also, please bring hot pressed watercolour paper, 8x10, (plus some scrap) mounted on a masonite board, eraser, sketching pencil, electric pencil sharpener, and a lamp.